Will the waters around the disputed Senkaku Islands see a Sino-Japanese conflict? Eighty percent of Japanese think so. A poll by the Pew Research Center, a Washington-based think tank, found 35 percent of Japanese respondents are “very concerned” and 45 percent “somewhat concerned” that territorial disputes between China and its neighbors — namely the Senkakus row — could erupt in conflict. The isles, located about 400 km west of Okinawa’s main island, are administered by Japan but claimed by China and Taiwan, which call them Diaoyu and Tiaoyutai, respectively. Last month saw China send a record number of government ships — as many as 15 — and about 300 fishing boats close to waters near the islands. Some of the vessels were armed, a scene that has grown more common as Beijing has become more assertive in the area. 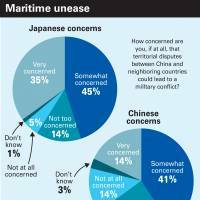 But while the survey found 80 percent of Japanese were worried, only 59 percent of Chinese voiced similar concerns. 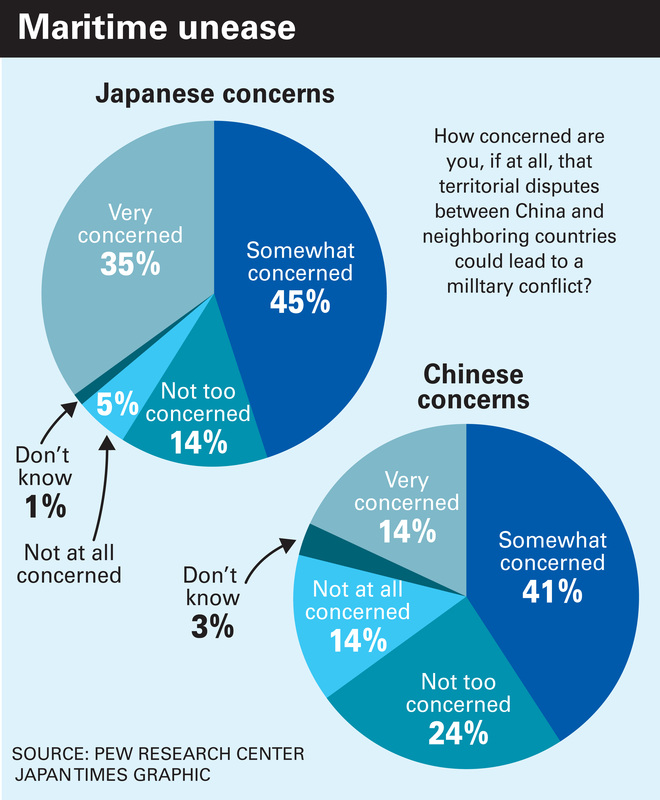 “Notably, intense concern among the Japanese about a potential conflict is about twice that found among the Chinese,” the survey report said. 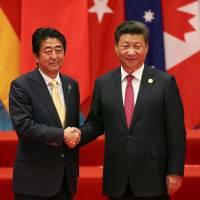 According to Tessa Morris-Suzuki, an East Asian specialist at Australian National University in Canberra, an underlying issue of these views is “a major power shift in East Asia” — with Japan becoming economically less dominant and China becoming economically and politically more powerful. “This creates uncertainty and provokes nationalist sentiments on both sides, as people in Japan feel anxiety at China’s rising power, and people in China feel that the rest of the world does not sufficiently respect their country’s newfound status,” Morris-Suzuki said. Historical issues also remain an obstacle to improving Sino-Japanese relations, the survey noted. 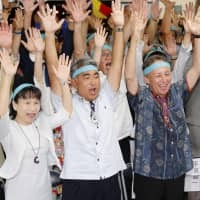 More than 70 years after the end of World War II, the two nations have starkly differing perceptions of whether Japan has expressed adequate regret for its wartime behavior, it found. 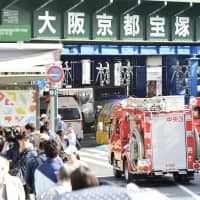 It said 53 percent of Japanese respondents believe the country has sufficiently apologized for the country’s wartime acts during the 1930s and 1940s, when its military rampaged through much of Asia. That figure was up 13 percentage points from the 40 percent registered in a 2006 survey. 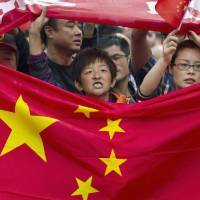 The Chinese, however, view the issue quite differently, with just 10 percent saying Japan has apologized enough. Time also appears to heal old wounds — at least for Japanese. Over the last decade, the proportion of the Japanese public that believes the country has not apologized sufficiently has dropped to 23 percent from 44 percent, the survey said. This comes a little over a year after the 70th anniversary of World War II’s end last August, when Prime Minister Shinzo Abe, whose policies are seen as hawkish, issued a powerful statement upholding Japan’s past apologies for its wartime actions. While expressing “deep remorse” over the war, the Abe statement referred to a “heartfelt apology” to the people of Asia for suffering caused by Japan’s “aggression” and “colonial rule.” The statement retained four key phrases used in a 1995 landmark statement issued by then-Prime Minister Tomiichi Murayama. “With so many Japanese feeding on a daily television diet of Chinese ships sailing around what announcers unquestioningly repeat as ‘Japanese inherent territory,’ while at the same time hearing over and over how Chinese and other Asians continue to demand that Japan apologize for its belligerent behavior long, long ago, it is not at all surprising that general Japanese perceptions would increasingly head south as far as their feelings about their neighbors,” Dudden said. This year’s survey found that 77 percent of Chinese respondents believe Japan has yet to adequately express regret — a figure that has remained largely unchanged since 2006. Just 10 percent believe Japan has apologized enough, the poll showed. 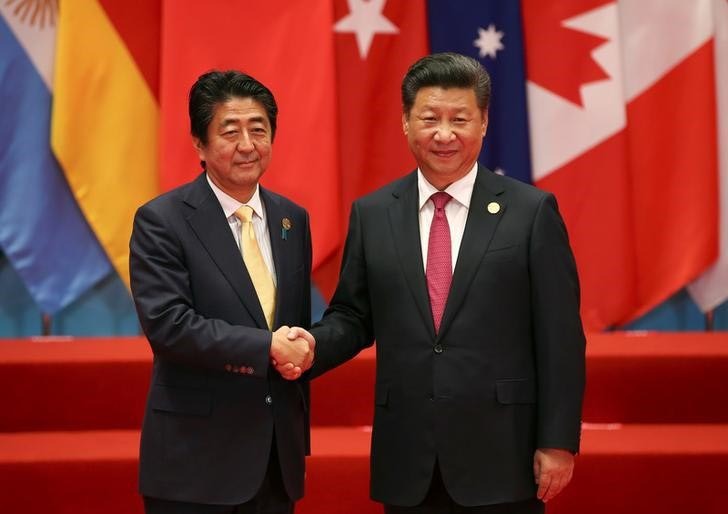 The survey also found that just 11 percent of Japanese respondents expressed a favorable opinion of China, while a mere 14 percent of Chinese said they have a positive view of Japan. In both countries positive views of the other have decreased since 2006, it added. The survey pointed to stereotypes as the reason for the low figures. “In the case of China and Japan, publics tend to hold largely negative stereotypes of one another,” it said. 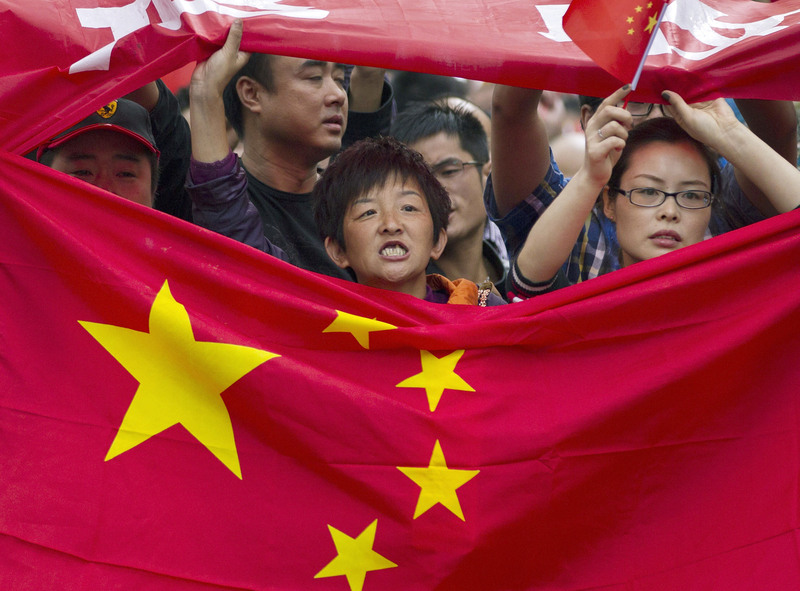 According to Jessica Chen Weiss, an associate professor of government at Cornell University who has studied grass-roots nationalism in China, at least some of the blame lies with Beijing. 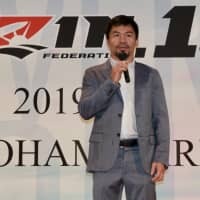 Morris-Suzuki concurred, noting that governments and political interest groups in both countries stir up these nationalist sentiments to shore up their own positions, a process that is often inflamed by mass media and by online media. The survey also found that something of a generation gap exists among the Japanese in their views of the Chinese, with Japanese animosity toward China varying by generation. Older Japanese — those 50 years old and over — are particularly unfavorable toward China, with 48 percent of respondents reporting a “very unfavorable” view. Japanese between 18 and 34 years old are less intensely negative, with 32 percent voicing the same view. “Governments and other public institutions in both countries do not do enough to promote mutual understanding at the person-to-person level,” Australian National University’s Morris-Suzuki said. The survey of 1,000 Japanese was conducted between April 26 and May 29 using landline telephones and cellphones. The survey in China was conducted face-to-face with 3,154 people.